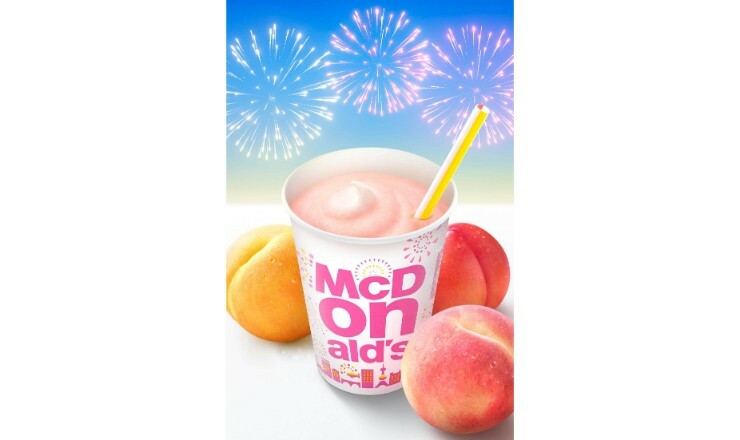 A new limited edition peach flavoured McShake is going on sale at McDonald’s restaurants across Japan from August 22. It’s made with white peaches, yellow peaches and nectarines. McDonald’s Japan saw the ‘McShake Momo & Momo’ released last year which was made with the fruit juice of white and yellow peaches, but this year they’ve taken it up a notch and added another fruit into the punch. It’s a refreshing mix of sweet and juicy white peach, richly sweet yellow peach, and sweet and sour nectarine. 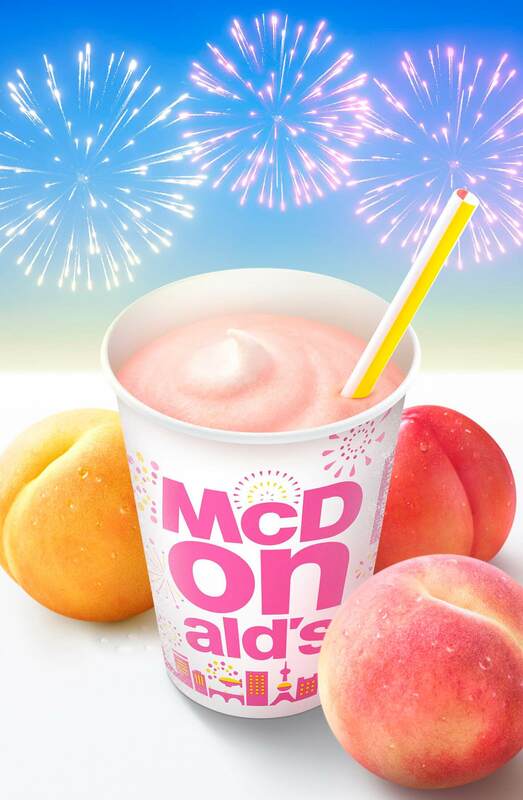 By mixing together the juice of these three fruits McDonald’s have created the ultimate peach experience. This fruity beverage is perfect for summertime, made with that distinct creamy and delicious McShake flavour. 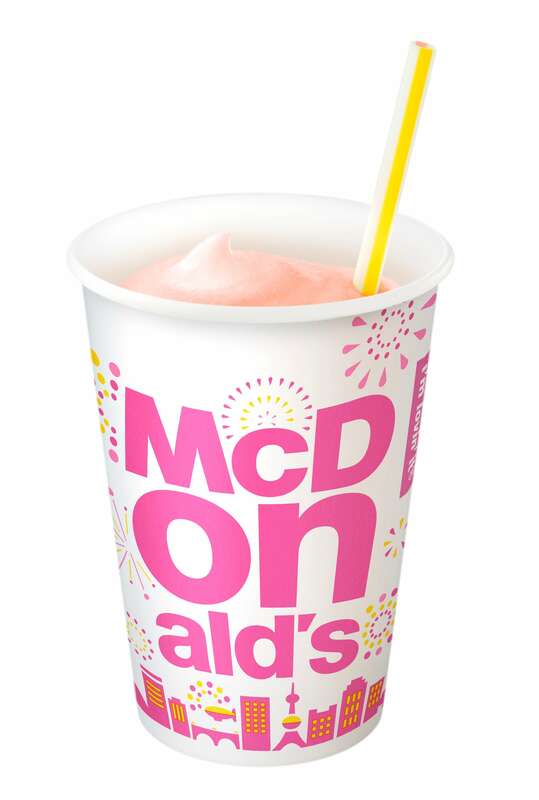 Additionally, all McShake’s now come served in cups with a summertime firework design for a limited period of time. Beat the heat in Japan with the new McShake at McDonald’s!